This topic contains 3 replies, has 4 voices, and was last updated by Jeffwp 10 months, 3 weeks ago. 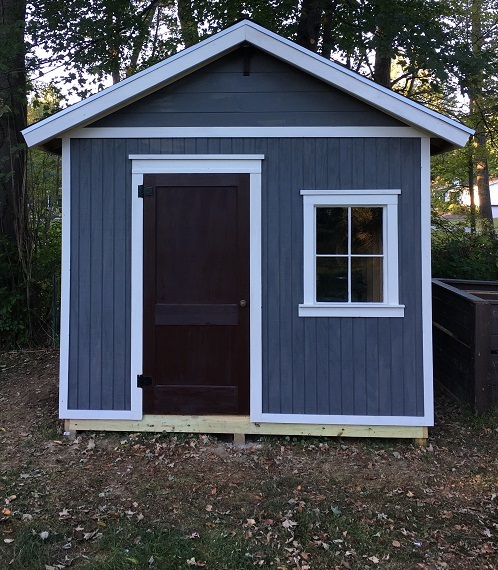 Picture submitted by Mathew of 10×12 gable shed built using Construct101 shed plans. Download the free PDF for the 10×12 gable shed plans here. Can I suggest metal flashing between floor and wall siding to prevent wicking of moisture from the ground to the siding. Usually the first place to rot. How much were your materials cost? This reply was modified 10 months, 3 weeks ago by Jeffwp.